Do you want to implement an employee suggestion system that gets results? Do you want to save time from creating the presentation? 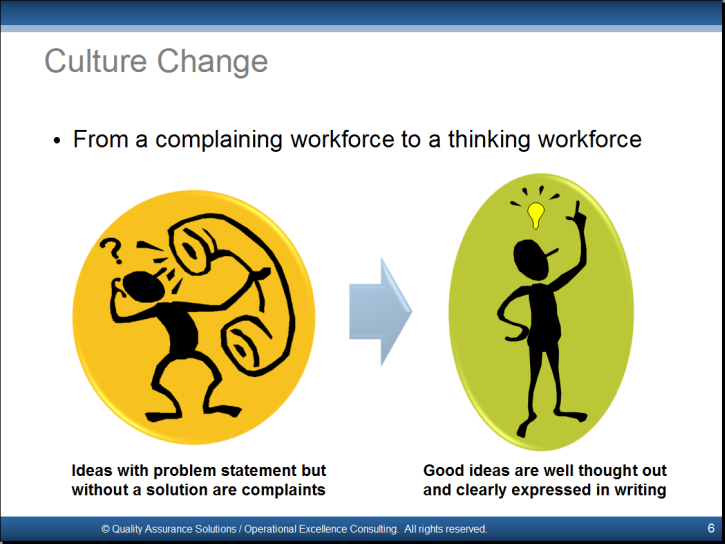 Do you want improve morale by involving employees in your improvement projects? 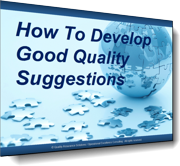 This professional presentation on Good Quality Suggestions saves you a significant amount of time. If you created this presentation yourself you could easily spend 24 to 40 hours just making the slides. See below for pictures of some of the slides. 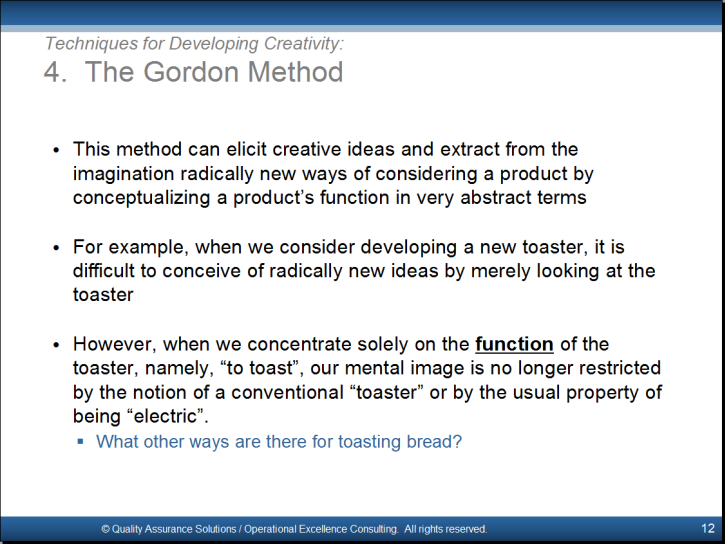 Use this PowerPoint to teach your employees how to contribute valuable and meaningful suggestions. 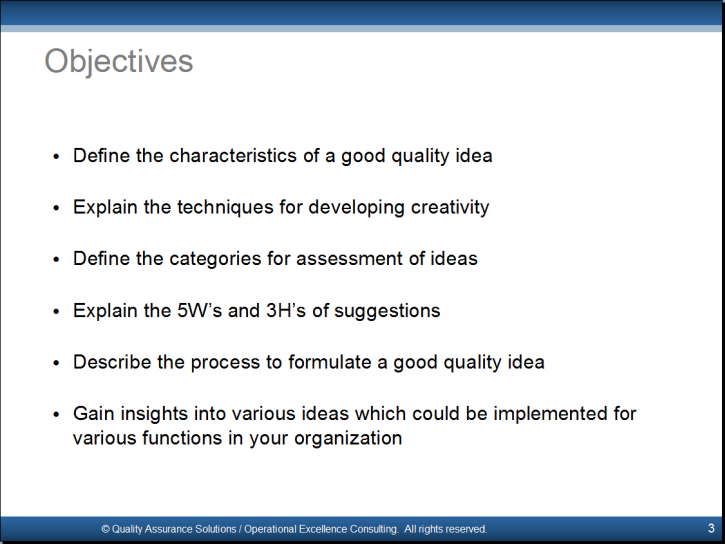 This training presentation teaches a systematic approach to formulate good quality ideas in the workplace. 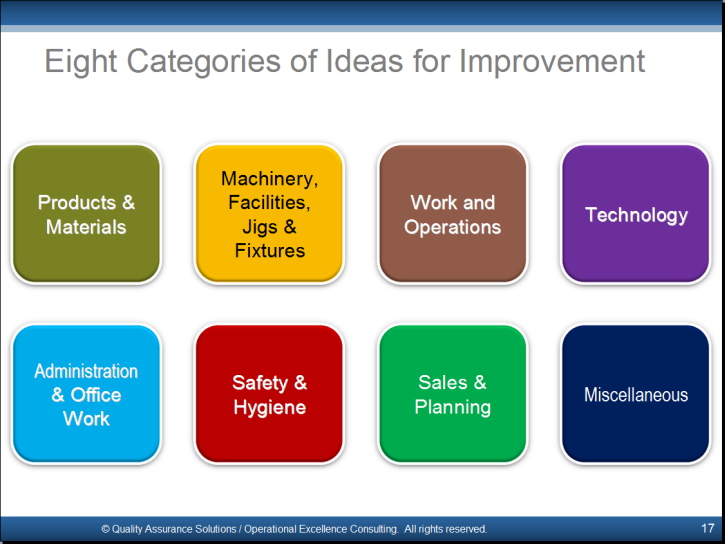 You can adopt or adapt the numerous examples of ideas for improvement from this PowerPoint for your employees' suggestions. Deliver this professionally-developed presentation to an audience as a 1-2 hour briefing to implement a systematic approach to developing sound employee suggestions. 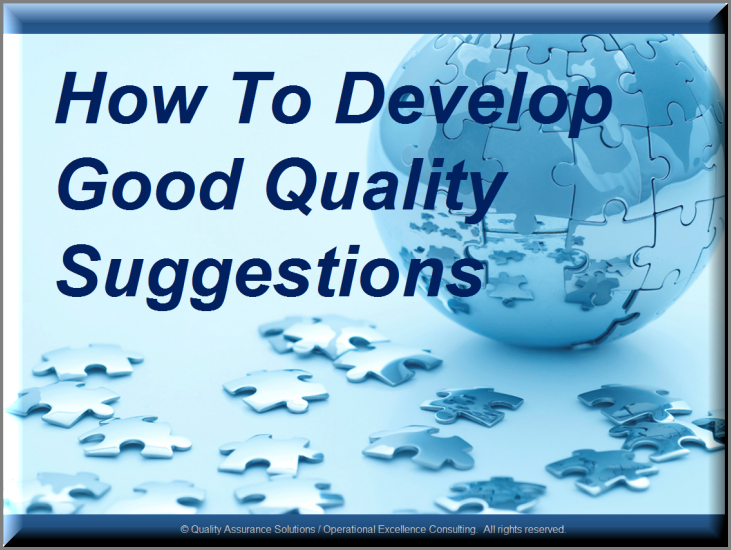 Use the slides in a workshop for managers and staff of the organization who need to understand the structure and importance of good quality suggestions. How to Formulate a Good Quality Suggestion?